The Advantage of Being Tobacco Free! First, you won’t stink anymore. Non-smokers smell smokers a mile away. They may not say anything, but let’s face it, tobacco smoke just plain stinks! Most people are too polite to tell you (unless it’s maybe your mother). Then there’s the healthy part! Your phlegm production will go down. Your cough will subside. You won’t have bad breath anymore (unless you’re sick or you eat garlic for lunch). You won’t be short of breath anymore and you’ll just plain feel better. You’ll actually be able to taste your food. One of the most pleasant things that happens is people won’t avoid you. Remember standing outside smoking and people go out of their way to avoid you? Those days will be gone. You’ll be the one avoiding smokers. Your skin will look brighter (more oxygen), you’ll have more energy, and you’ll have more friends (if you want them). You won’t have a sticky film of tar on the windows inside your car. Your house will smell better after you wash the drapes, upholstery and carpet. You’ll have more money. Many people who have long ago passed away began smoking when a pack of cigarettes cost about 15 cents. These days, they are as high as $7.00 per pack or more. 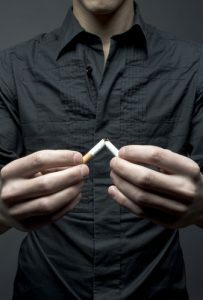 If you smoke 1 pack per day, that puts you at $210 per month. Even at a half pack per day, that’s $105 (most people increase their smoking as the years go by). It’s a little cheaper by the carton, but is it really worth it? Try vaping! It doesn’t stink, doesn’t make you sick, and in the long run, it’s cheaper! There are different flavors and many different kinds of vape kits to choose from. The initial investment may cost you a bit more, but your body will thank you by living longer. 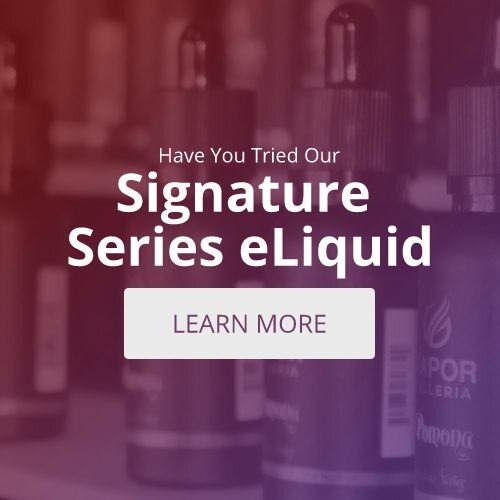 Visit a local e-cigarette store for more information!